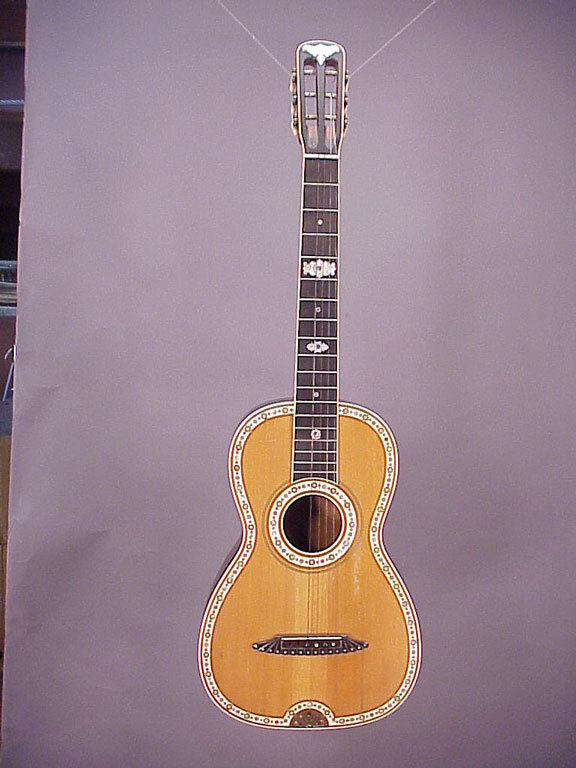 Here's another fancy model from an American guitar factory. 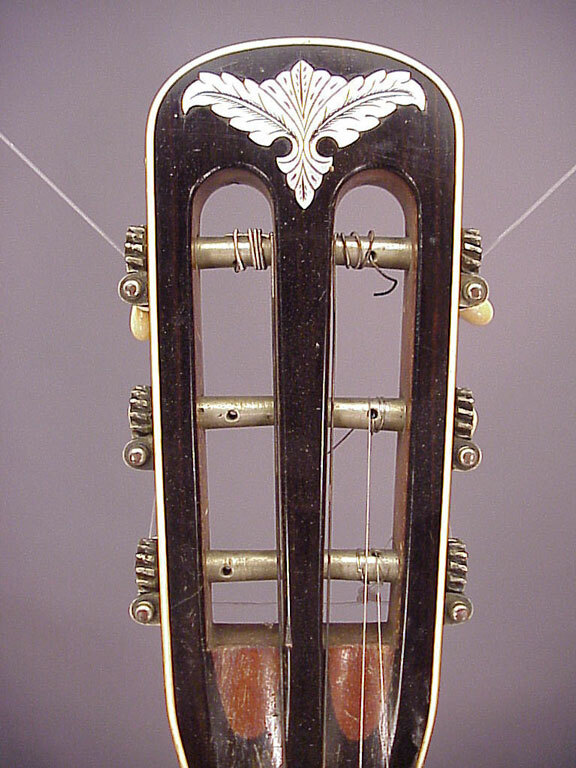 I don't know the manufacturer, and it's not marked anywhere. 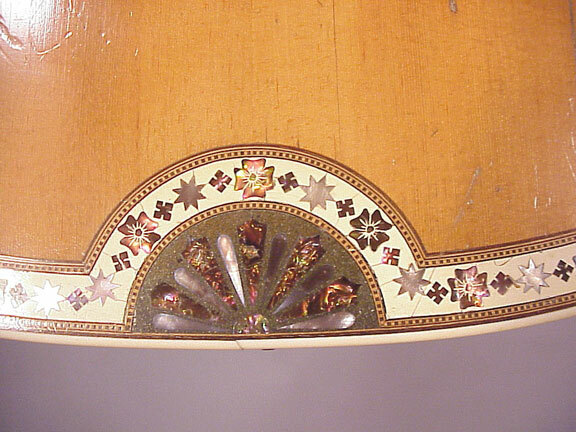 In place of the more usual black mastic and inlay border, this one has white mastic with pale abalone inlays. 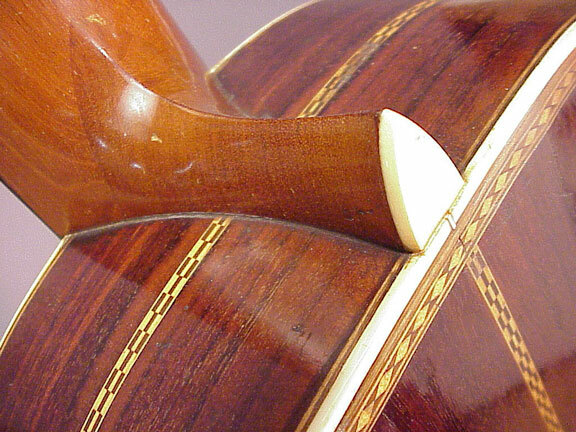 Additionally, there is a band of purfling around the center of the sides, and plenty of purfling marquetry on the back as well. 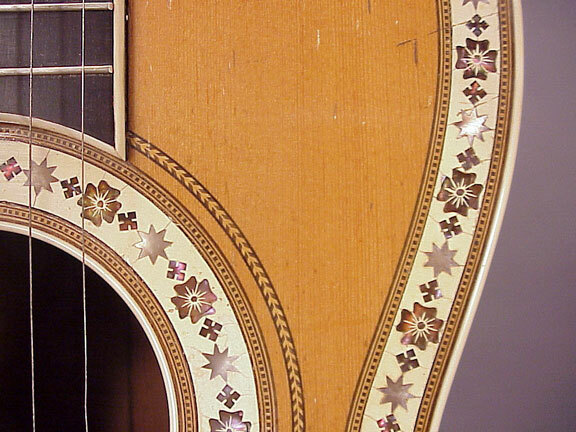 That little abalone fan inlay in the top is set into a background of greenish glitter celluloid. 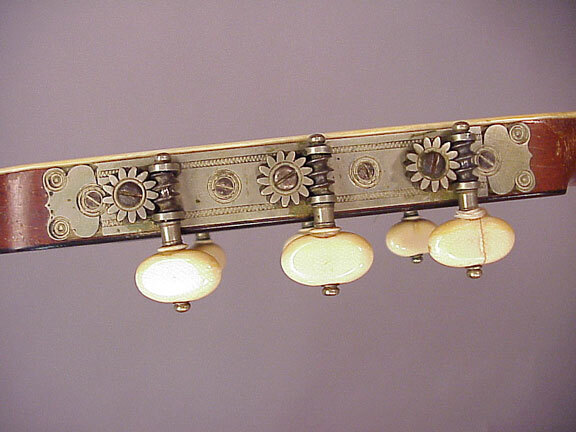 All the white trim is celluloid as well. 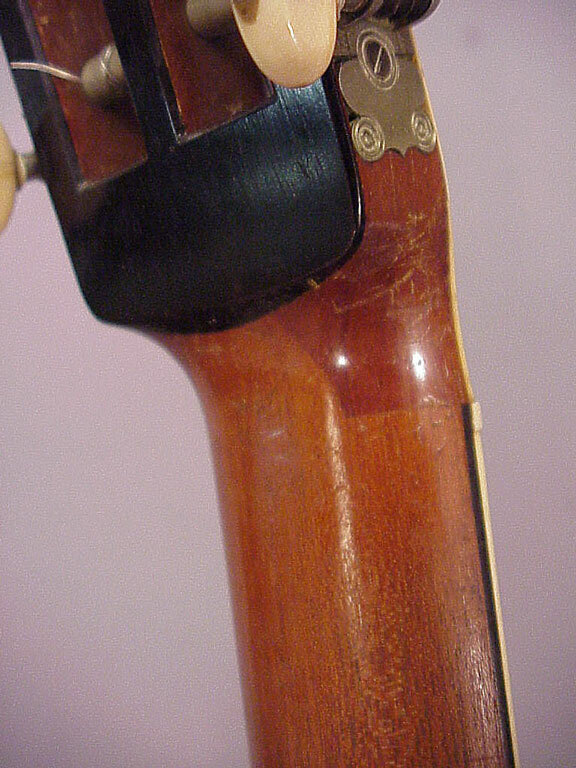 That's a beautiful set of handmade tuners inlaid into the peghead! 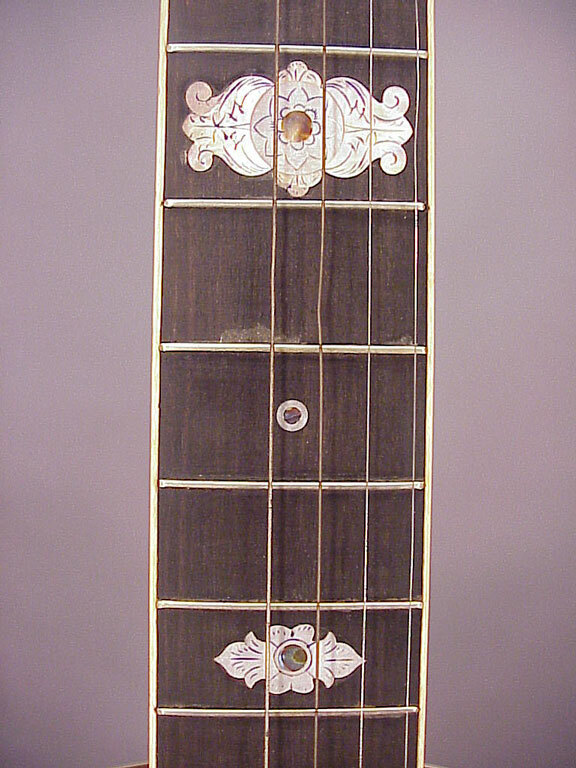 One FRETS.COM reader contacted me and encouraged me to believe that this guitar was made by Henry Schatz, a friend and contemporary of C. F. Martin Sr. I do not believe there is any evidence to support such a claim. 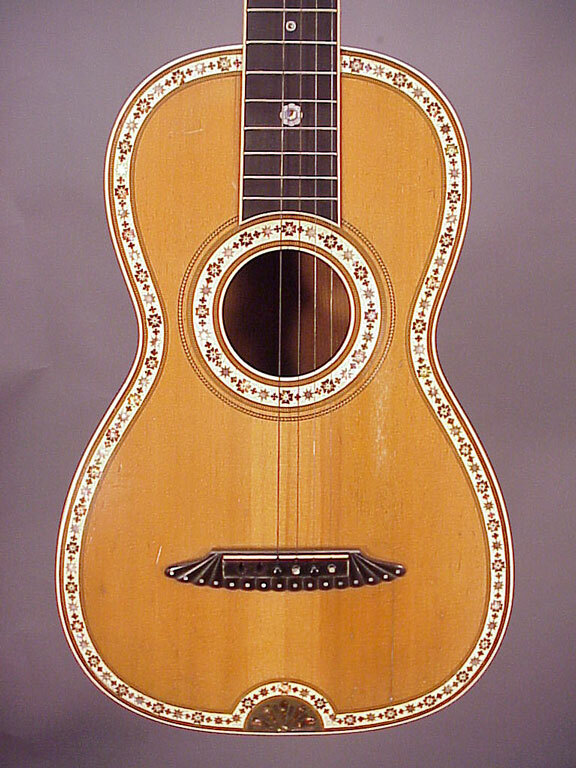 All of its "unique" features appear on any number of instruments, both individually and factory made.